We can all see the scene in our heads: a man standing in front of a mirror, razor in hand, steam gathering around him. No shaving scene is complete without the ending pat of aftershave. In the past, Brut and Old Spice owned the aftershave market. In the 1970s, you couldn’t get away from aftershave ads! Nowadays, it is still the same. Aftershave is still in high demand and celebrities continue to endorse their scents. We all know why men use aftershave, but how much do you really know about it? What is it? What are the basics of aftershave and how long have men been using it? Aftershave has become a staple in most households, but the truth is that not many people know why it’s so important or that different aftershaves can accomplish different things. Let’s talk a little about how the aftershave craze began before we dig into what modern aftershaves can do. The 18th century introduced the idea of using a product like an aftershave. Before that, this was not a concept that men prescribed to. Nowadays, getting a shave from a barber might sound more like a luxury. It is a part of feeling pampered and taken care of. Many men like getting a shave when they get a haircut, but they do not go to the barber every day. Maybe you have an intricate beard that you need help with, but odds are, you have a razor above your sink. Personal shaving is common now, but it was not always the case. Villages and cities alike had barbers waiting for men in the 17th century. Going to the barber for a shave did not feel like a luxury for these men! In fact, it was most likely to be a painful experience. Horror stories about clumsy barbers were normal, not to mention the fear of a blunt razor scraping across your face. There were not really independent or individual shaving routines. So, what did men do about their sore faces afterward? 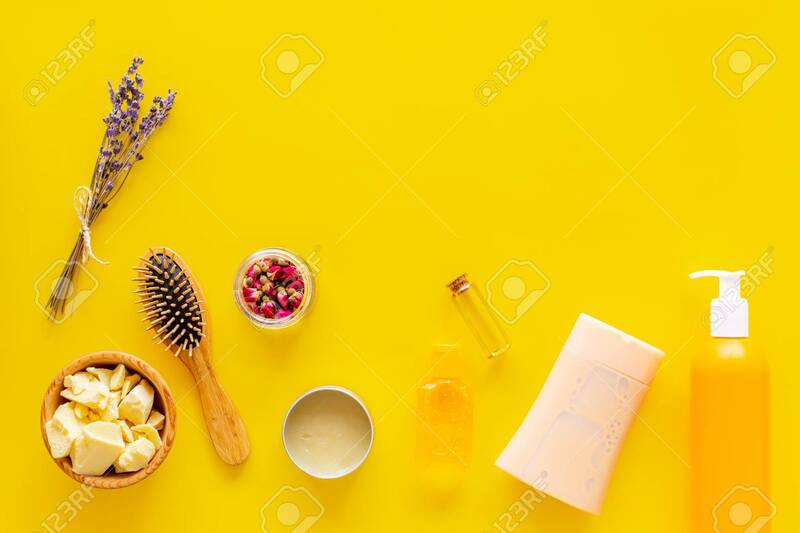 It is possible that barbers took it on themselves to apply a little lavender water to the skin to soothe it. After all, barbers knew how badly it could hurt afterward, and they did want their clients to come back. Additionally, there were medicines designed for skin soothing. People are resourceful. If men needed to calm their skin, no doubt they found ways to do so. It is just that no one documented or marketed this. How you dealt with your shaving pains was up to you and done at home. The 18th century saw a change in shaving. Bare faces were becoming trendier and hence people were starting to consider shaving at home. Yes, barbers were still important, but this is where we start to see individual shaving routines. Sharper razors entered the market, allowing men to be more pain free and comfortable during their shave. They marketed these razors towards people who wanted to do their own shaving. 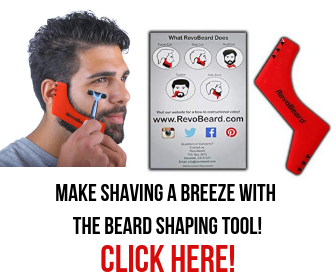 Suddenly, you might be shaving in the comfort of your own home. Have you ever heard of shaving powder? In the mid-18th century, shaving powders started to make their appearance. Not only were there shaving powders but there were also soaps to soot skin after shaving. Additionally, there were products to brighten and freshen up the man’s skin and a cream that cooled and healed. Now, given the era, men were also concerned with looking too effeminate. This was particularly predominant in England. Cosmetics were for women and so the shaving market had to be careful to keep a balance. Now, this isn’t to say that men weren’t supposed to keep up appearances. It was important for a man to have a net appearance, to be elegant and to have good manners. At the time, most of society called shaving masculine. If a man needed a little cream to sooth his face after a shave, this was acceptable. Now, in the 19th century, beards started to make a huge comeback. It might look like aftershave had to take the backburner for a while, but that is also not the case. When thinking about style, keep in mind current trends. Even when beards came into fashion, there are men who chose not to sport one. The same goes for men of this time era. For every man that decided to grow out his beard, there were still plenty who decided that they would keep theirs shaved. You might be surprised to learn there were a few aftershave lotions and scents that came out during this era. A product called Rowland’s Kalydor was one of the most famous. Talcum powder was also a major choice by men. Now that we have covered the history of aftershave a little, let’s jump to the present. What is aftershave? When it comes to aftershaves, you have probably heard a few different ingredients mentioned. You can get alcohol, astringents or witch hazel. Maybe you want a new scent or unscented. How do you know which to choose or what to use? First, let’s talk about why you use aftershave. Some men think that it’s only about the fragrance. While the aromatic features of aftershave are important, they aren’t why you should own a bottle of aftershave. Here are the features of aftershave you should know and be aware of. Did you know that in history, before they knew about bacteria and antiseptic, people could die from cuts on their face after shaving? It was not common, but it did happen! After a shave, your pores are open. In addition, if there were any bacteria on your blade, it would now be on your face. Many people use their razor more than once before they thoroughly clean it or sanitize it. If you are the only one who uses it, you may not think twice about not cleaning it. However, bacteria can spread, and this is what aftershave can help with. Not only does aftershave protect your face against bacteria but it also can soothe it, depending on the ingredients. Alcohol is also an ingredient found in many aftershaves. It used to be one of the most popular types of aftershaves. When it comes to aftershaves, you generally have witch hazel and alcohol as the two main types. Later, we will talk about why you should reconsider alcohol-based aftershaves. Let’s talk about witch hazel. Witch hazel is one of the more natural aftershaves. You will find witch hazel in a lot of different cosmetic lines. It is an ingredient used in both men and women’s products. Where aftershave is concerned, it can constrict pores and works as a natural astringent. Unlike alcohol, however, it is not going to dry out your skin if you use it. No one wants to have to slather on too much moisturizer post-shave. Sometimes, the alcohol dries out the skin so badly that even moisturizer cannot help. Witch hazel also acts as an anti-inflammatory. If your skin is irritated after the shave, it’s going to soothe it. Witch hazel is so effective that it’s even used to treat bug bites and rashes in other products. In addition to being an anti-inflammatory, it will also clean your face and flush out bacteria. As a bonus, it fights acne, too. 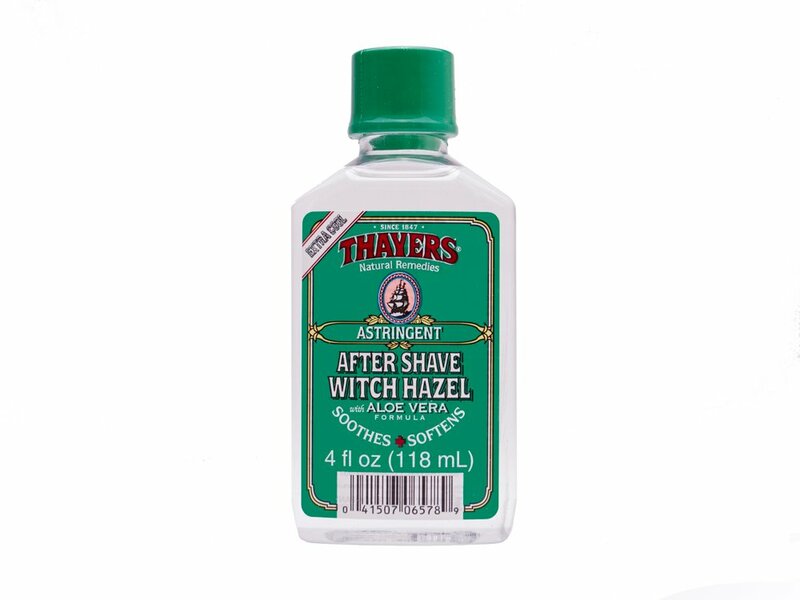 If you like the sting of alcohol-based aftershaves, you won’t like witch hazel. If you’d rather do without the irritation, then witch hazel would be perfect. There is no sting to it. Don’t worry; it works just as well, even if it doesn’t sting. Aftershave manufacturers usually add tea tree oil to witch hazel aftershaves. 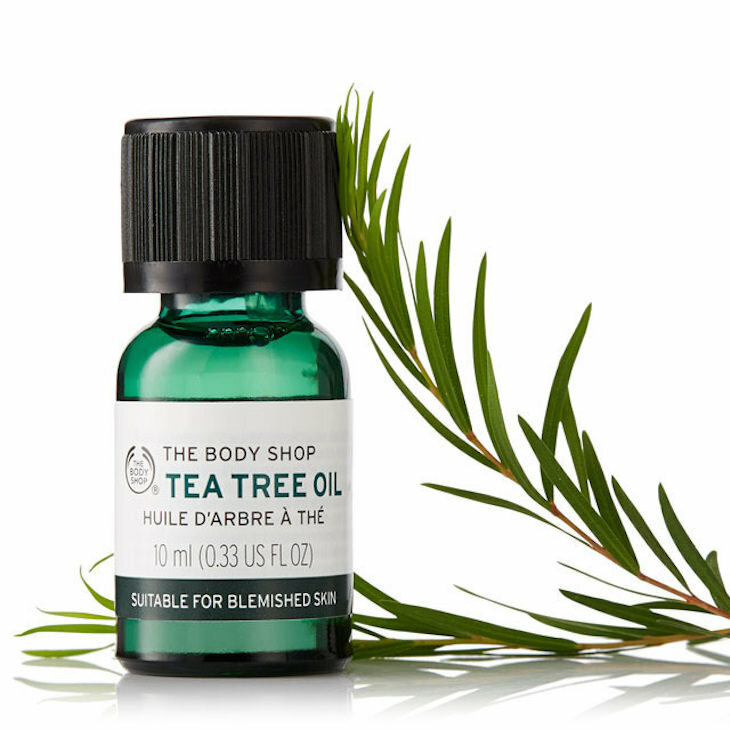 Tea tree oil is an antiseptic that flushes pores and helps prevent skin infections. Shaving every day can be enough of a pain without having to worry about an infected cut or a rash due to bacteria. Aloe vera is another common ingredient added to aftershaves. Most of us have used aloe vera at some point in our lives. It is one of the most commonly used soothing products. A lot of us use it after a bad sunburn. It’s so good for irritated skin that it makes sense to use it with aftershave to create a more soothing effect. What Is Wrong With Alcohol? If you swear by alcohol aftershaves and they work for you, then continue with what works best. Still, you may want to know that alcohol-based isn’t the best or most healthy aftershave. While alcohol works great when you want to clear out any bacteria after shaving, it isn’t the best for everything else. 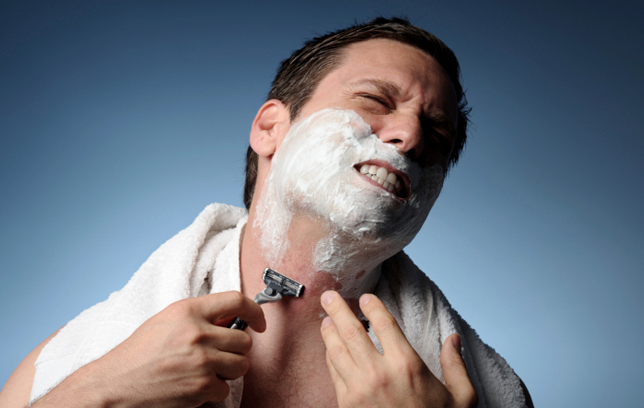 If you want to avoid your face being in pain after a shave, then the last thing you want is to end up with dry skin. 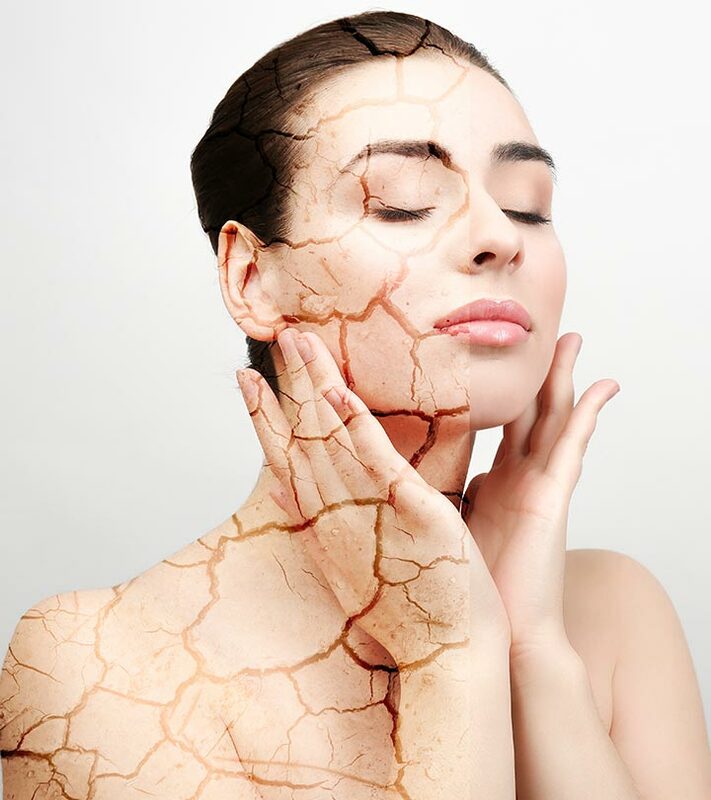 Dry skin is uncomfortable and sometimes itchy or painful. Alcohol-based aftershaves dry out your skin! Not only does it dry it but it also tightens the skin. No one wants their face peeling or flaking, and this is exactly what happens when it comes to aftershaves with alcohol as one of the main ingredients. So far, we have talked mostly about aftershave lotions. Those are generally the most common type. They’re what you probably think of when you think of those shaving scenes in commercials and TV. They are not the only type, however. Here, we will go a little more in-depth about what kinds of aftershaves you can find on the market and their benefits. Lotions are witch hazel or alcohol-based aftershaves that you splash on your face. These are the most common. What some people love about these aftershaves is that they can have a cooling effect in addition to cleaning, tightening and treating razor burn. The problems with lotions are that they can dry or be too harsh for sensitive skin. As said before, if you use alcohol aftershaves, they will burn. 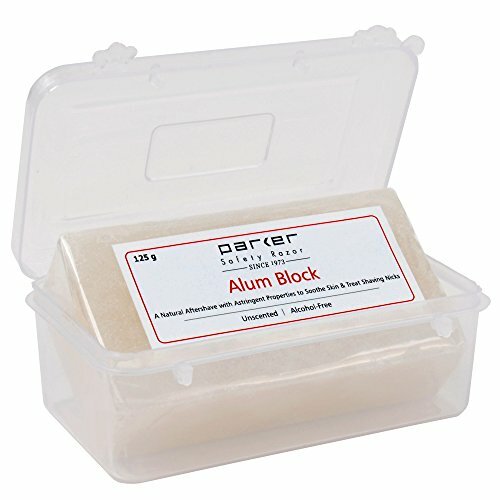 Alum block aftershave is a rock of alum and mineral salts. In order to use it, you wet it with water and rub it on your wet face. Your skin will feel tight and smooth, and you can rest assured that it’s natural. On the other hand, it may dry out your skin. Also, it has a potent taste that you will experience if it gets too close to your mouth. 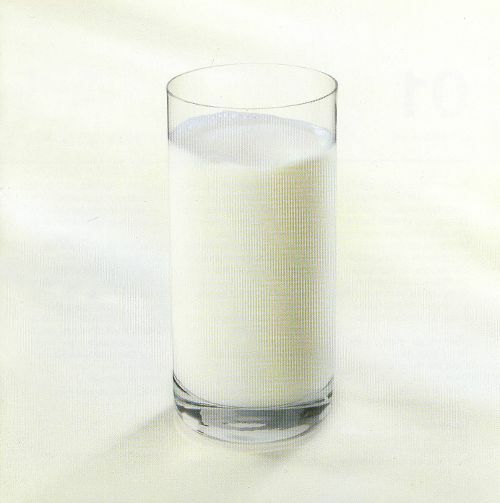 A milk aftershave is made with hydrosol and is somewhere between the consistency of a lotion and a balm. You smooth these over your wet skin. These are usually full of good nutrients and are lighter than a balm. Unfortunately, they can also feel sticky to some people. While these are two different types of aftershaves, they have a similar consistency. These are thicker aftershaves, which are best for moisturizing. They tend not to have any alcohol content. You use these by massaging them over wet skin. Balms and conditioners tend to be heavily moisturizing. In addition, you can find some with SPF protection. If you have oily skin, these may be counterproductive. You rub this mineral aftershave, composed of hydrated magnesium silicate, on your dry face. On the one hand, it can help hide blemishes. On the other hand, it can also react negatively to skin, and you may cough or sneeze while using it. When you hear what aftershaves are great for each skin type, how much time do you spend trying to reason out what your skin type is? If you don’t regularly use cosmetics, you might never think about it. If your skin is constantly dried out or breaks out in a rash easily when using aftershave, you need to know that this isn’t a side effect that you have to accept. It could have everything to do with your skin type. Do you have sensitive skin? If you break out often or your skin itches and stings when you’re finished shaving, then you can safely say that you have sensitive skin. If you want an aftershave that works best for sensitive skin, it’s best to look for more natural options that do not have a scented element. 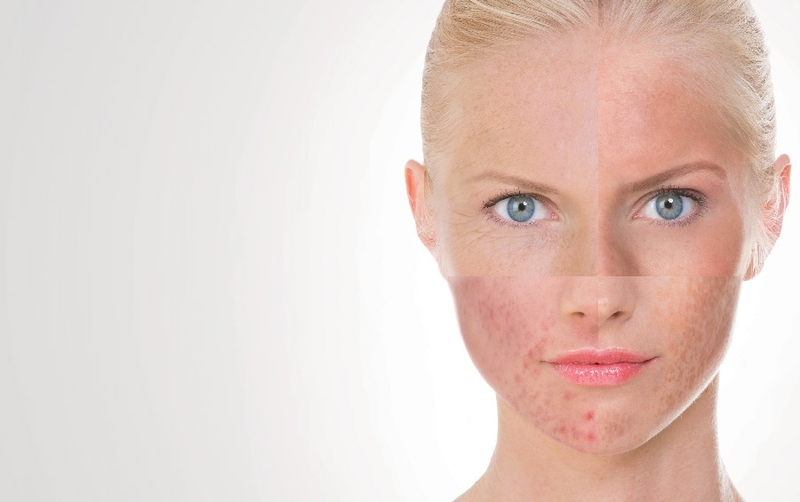 Combination skin is one of the most common skin types. If you have combination skin, this means that your skin can be greasy in some places, sensitive in others and dry in yet others. While a common skin type, it can be difficult to figure out what to use with your skin. In some cases, you may want to mix aftershaves of different kinds on various areas. Dry skin looks dull and often flakes or peels. The last thing you want to do with dry skin to use alcohol on top of it. A conditioner or balm will work better at keeping your skin moisturized. Oily skin is oily to the touch and has a sheen to it. The pores are usually visible, and you are more likely to have pimples or blackheads. 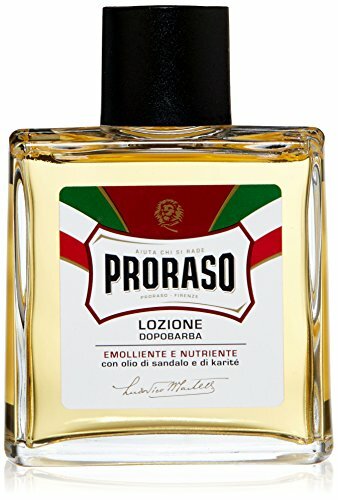 This is the best skin type for alcohol-based aftershaves or any other splash aftershave. What does it mean to have normal skin? You can tell if you have normal skin if it usually is soft with an even tone. 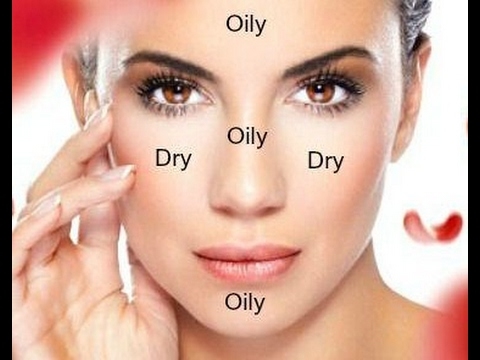 You will not have excess oil or dryness. Most aftershaves will work fine with this skin type. However, you do want to beware of an aftershave with a strong toner because you won’t have oil to remove. On the other hand, you can focus more on fragrance. People really did use to suffer for a good shave. For as long as people have been taking a razor to their facial hair, men have been looking for a way to fix the irritation and inflammation that comes after a shave. Despite shaving's long history, nowadays it’s much easier to find a product to help with those problems. Aftershave is supposed to clean your skin of bacteria, close your pores and sometimes moisturize the skin afterward. While many aftershaves come with a fragrance, it is not the most important factor in purchasing a good aftershave. You should consider it, especially if you have sensitive skin or you are particular on fragrance. At the end of the day, however, aftershave is always about making you more comfortable when your shave is over. Next story What Makes The Philips Norelco Shaver 9800 Unique? Previous story Braun Series 7 Review: Why Should You Purchase This Electric Shaver?